Recently I had the opportunity to interview Jason Patel from Transizion for the ongoing series: CEOs Share Leadership Strategies To Improve Your Company’s Culture. 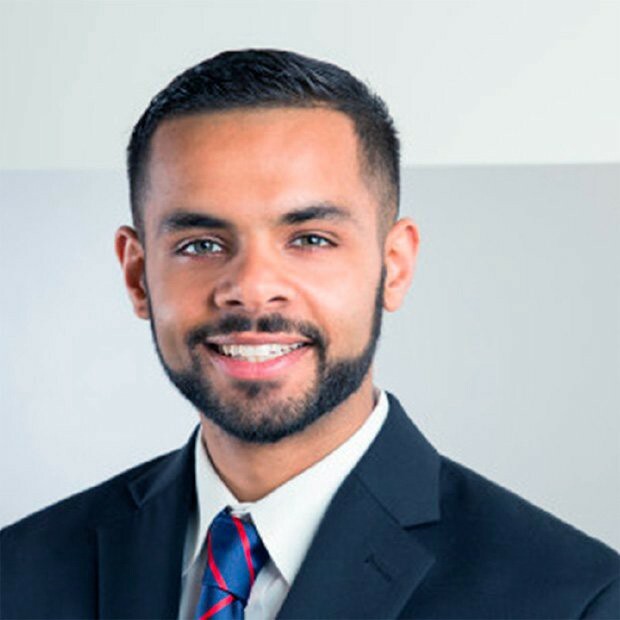 Jason Patel is the founder and CEO of Transizion, a college and career prep company that prepares students for college admissions and career success. Last year, Transizion continued its strong track record of helping students succeed in college and beyond, with 100% of students receiving acceptances to one of their reach or target schools. Students from past years now intern or work at Google, the Department of Justice, Bristol-Myers Squibb, and a host of other great companies. · The Standard is the Standard: Push yourself to not only meet customer expectations but also exceed them. No one on the team should settle for subpar work; more important, we should exceed the high standard for every operation in which this company engages, from tutoring to content creation to scheduling. Whatever we do, do it the best way in order to raise our own standard. Next time around, do it better. Clients should know we pour effort into our work, and our team members should know that they are encouraged to bring their A game. We want A players building on the work of other A players. · Build the Dream: Parents and students come to us because they are anxious and seeking a helping hand. We are their strategists, their light in a dark forest. We’ll make their lives easier while offering innovative ways to tackle their college admissions inquiries. Team members should strive to offer custom solutions, schedules, brainstorming techniques, and opinions that wed ingenuity and efficacy. Once parents and students join our team, they become family, so stop at nothing to solve their problems. · Life is Learning: Everyone makes mistakes. The best learn from their errors and march forward. We encourage team members to craft new solutions, test them, and offer the proven ones to our students. We want you to learn more about the job and yourself, because a good job offers team members the opportunity to learn about the field and their own strengths and weaknesses. As you grow, we grow. That makes us all better. Jason: Our strategy in dealing with millennials, and team members from any social group, for that matter, is to unite high-achieving players with a team strategy. Our directive is to abide by company values, take care of our clients, and raise our standards every day. In order to keep this dynamic healthy, we treat everyone with respect and compassion when it comes to work schedules, asset delivery, and content creation. We ask that team members meet deadlines and take care of clients first. We believe that the company should first establish its values and decide the kind of people it wants to hire. When hiring begins, be stringent about the requirements set for new team members. If you have a belief of what constitutes a great team member, make sure to abide by those guidelines. Don’t make compromises. What this does is bring together excellent team members who place performance, culture, and values above differences. The best millennial team members are like the best team members of any social group — they care about performance, team building, and customer service above anything else. Treat them with respect, and the “millennial mindset” becomes like any other ethos in a strong workplace — an attitude that serves the goals of the team. Krish: What are your “5 Ways to Improve Your Company’s Culture” and why. 1. Always seek feedback: Leaders are not infallible. Team members want to know that workplace weaknesses will be rectified and their thoughts will be heard. A leader unwilling to adapt will find his team members just as unwilling to do the same. Seek feedback, and apply the same demands of workplace culture from yourself. Story: When I began working with one of our first content writers, I had a set plan for how articles should be written. This plan comprised of structure and deadlines that kept things flowing smoothly.. After a few articles, I noticed that my content writer submitted sub-par work; unwilling to publish the work, I made sure to check in with her to solve the problem. After a healthy discussion and some feedback, I realized that there wasn’t enough structure to the plan, and I wasn’t offering enough time for revisions. This meant that my team member was constantly writing without respite, always thinking of new ways to devise content, and had little time to take a step back and evaluate the writing. As a result, we amended the plan, offered her more time to work on pieces, and extended deadlines for certain projects. This change has helped her write great content while giving me a better workflow to use with other writers. 2. To that end, leaders need to demonstrate by example. This improves company culture because it encourages everyone to pitch in. No one wants to be the only one working, especially when deadlines are near. Example: Sometimes, students need help on Friday nights, Sunday afternoons, or late on a Tuesday. This means our hard-working tutors need to be available at inconvenient times, on occasion. Any time this happens, I make sure one of my managers or I am online in order to quickly respond to any kind of request from a tutor. I want my tutors to know that they will never be alone, nor will they be stuck on an island. They have our full backing to fulfill their work with expertise and precision. 3. Value everyone’s time. Parents have schedules, students have commitments, and our team members have their own lives. We start meetings on time, talk only necessary details, and prioritize based on need. We prepare for meetings early in order to anticipate delays and end early if we’ve addressed everything on time. We place the focus on helping students creating an excellent product, so extra time should be dedicated to those missions. As such, I aim to be on time for every meeting and check-in. It’s only fair to our team members. Example: For meetings with our team members across the country, we always call on time, have an agenda set, and discuss pain points with clients and the company. We don’t let time go to waste. It’s the one thing we can never get back. 4. Encourage new ideas. We don’t want to rest on our laurels, nor do we believe the best ideas have already been implemented. Everything can get better, so why not try to discover new ways of product delivery, customer interaction, and the like? We encourage our team members to try and test new things. If you are curious, you are pushed to grow your idea. We want to hear from you. Story: A year ago, we had a cumbersome way of managing projects. With some feedback and team input, we migrated to a new project management platform, where interaction is quick, documents are always ready for edit, and team members working on different facets of the project can get real-time updates on new additions to the project. This has led to a 18% increase in quality asset delivery. Having a system in place is one thing, but improving it is the key to maximizing team output. 5. Promote transparency & reward valuable contributors: Even if team members from different locations who have never met each other are working on the same project, give them the resources and time to become accustomed to each other’s work styles. Have a good platform for managing projects and encourage questions. When they do an excellent job, send a bonus their way or give them an extra day off. People like to be appreciated — it’s human. Story: A tutor was working with a talented student and guiding her on how to solve challenging AP Physics problems. The tutor’s method of teaching was working, but there were a few problems in the homework assignment whose methods for solution were difficult to articulate. The tutor went on one of our team channels in Slack and asked a few team members for help, knowing that while they weren’t physicists, they knew how to break down complex problems into palatable bits. One of our marketers answered the call and gave the tutor a new way of explaining the physics problem — all from his memory of taking AP Physics years ago in high school. Two months later, at the end of the semester, the parent of the student thanked us for our hard work. She said her son made strides in AP Physics. Of course, we sent a bonuses to the tutor and marketer for their great work. They’ve continued working with new students while offering each other support. Krish: Strong company culture is something that everyone likes to think they have but very few have it. Why do so many organizations struggle with creating strong, healthy work environments? Jason: Organizations struggle to create and retain strong culture for two key reasons, I think. First, leadership has failed to articulate the values that guide the culture, and, through this apathy, they fail to uphold the culture they outlined. When they fail to uphold the culture, everyone on the team will work with the same apathy. After all, if the captain doesn’t care about how they get to the harbor, why should any of the sailors? The tone is set from the top, so leadership needs to act like they are all in on establishing company culture. Hire team members based on these values. Steer teams based on values and results. And, of course, individual conduct should live up to company values. Second, companies bring on team members that aren’t a good fit for the company. This discourages the established team members who have been pouring their hard work into seeing the company succeed. Great performers and artists encourage other awesome performers and artists. Bring people on the team who will try their best to produce according to the culture and values of the company. Krish: What is one mistake you see a young start-up founders make in their culture or leadership practices? Jason: They don’t seem to care much about establishing a culture. And if they do have a culture envisioned, they don’t articulate it well, or at all. After new team members are brought on board, the founder ends up employing a group of people with confusing, or, worse, contesting cultural visions and attitudes toward the company. Once these people are firmly ingrained in the company, it becomes extremely difficult to cleanse poor and conflicting attitudes from the team. And when that happens, the culture the founder envisioned is lost. Krish: To add to the previous question, young CEOs often have a lot of pressure to perform and often wear many hats. What’s a simple time efficient strategy they can start doing today to improve their company’s culture? Jason: I have two pieces to offer, if that’s OK. Break down your projects, and take problems one at a time. A terrible thing you can do is work on one project while your mind is distracted with another. You’ll end up producing depthless and inferior work for both projects. Instead, make a schedule and project pipeline. When one part is done, move on to the next item on the list. This is important for company culture because producing excellent work keeps morale high and standards higher. If you provide unremarkable work repeatedly, it’ll dilute work culture and clash with company values. As young people, we want to tackle ideas and give it our all, day in and day out. This is a good thing. But you can’t go 100% on all projects all the time. It’s important to prioritize and attack each project with your fullest dedication. Second, practice stoicism. Seriously. It’s a long and fascinating topic to write about, so I’ll leave it at this: The world and its challenges, namely leading a company, will present to you its share of obstacles, deterrents, and catastrophic problems. Don’t let them slow you down. How? Deal with these stumbling blocks by realizing that the world brings on challenges in a platonic and neutral manner. That is, things happen. These things aren’t necessarily good or bad — they just happen. The key is to take them in stride, appreciate the opportunity, and pursue each solution with fervor and a smile. A good attitude is the best and only choice you should have. Your only choice is how you react to obstacles, so react well. This good attitude will raise the spirits of your team and encourage others to deal with setbacks in the same way — as opportunities waiting to be pursued. Krish: Success leaves clues. What has been your biggest influence in your leadership strategy and company culture? Jason: These are some inspiring books and people that guide my leadership strategy and company culture. Meditations by Marcus Aurelius: This book is a classic on Stoicism. It will help shift your perspective on dealing with problems and evaluate your emotions when dealing with adversity. This is a good book on leadership. Shoe Dog by Phil Knight, founder of Nike: This is an autobiography of Nike founder Phil Knight’s life in business. It will teach you the value of perseverance, believing in your team, and never giving up. Hard to imagine that Nike once comprised of a young Knight selling shoes from the trunk of his car. What They Still Don’t Teach You at Harvard Business School by Mark McCormack: Street smarts isn’t about intelligence; it’s about learning on the fly, adapting, and creating new solutions. Why Nations Fail by Daron Acemoglu and James A. Robinson: Institutions create great nations. Respect them. It’s easy to destroy an institution, but it’s difficult to help create and uphold one. Take the difficult road. Our country will be better for it. Miracle at Midway by Gordon Prange with Donald M. Goldstein and Katherine Dillon: Sacrifice created America. We should be forever thankful for the men and women who shed their blood to answer the call of duty. This country has survived tragedy, and we’ll outlast any challenge we’ll face. Team of Rivals by Doris Kearns Goodwin : A book on perhaps our country’s greatest president, Abraham Lincoln, it taught me about assembling the best people to get the job done. Leadership isn’t just about vision; it’s also about restraint, humility, and making and accepting decisions that may never become popular. Alexander Hamilton: Create systems that can scale. One thing that should keep a team united is a strong system. Dreams of My Father by Barack Obama, former President in the United States: We share a common destiny, a common humanity. No matter how high you go, treat everyone with compassion and respect. A leader needs to be even-keeled. Pour Your Heart Into It by Howard Schultz, Executive Chairman of Starbucks: Treat employees with respect and dignity. Schultz is from the projects, so he knows what it’s like to come from the bottom. He saw his father fired from his job without security or benefits after a workplace injury — Schultz learned to never treat his employees like this. From trailblazing company benefits to espousing distinguished humanitarian principles, Schultz has taught me that we should always raise the bar when treating our team members with respect. Travis Kalanick, co-founder and former CEO of Uber: A politically incorrect pick, but the man’s life in business is incredible. He founded two companies before Uber, had to move in with his mom when times got tough, and once had his life threatened by a bodyguard of a prominent businessman in show business because his former venture was a peer-to-peer file sharing company that would have disrupted the industry. Kalanick never gave up, eventually founding Uber with Garett Camp, forever changing the business of transportation. Kalanick has taught me to persist, stay hungry, and be unafraid to change. Of course, there were alleged cultural problems at Uber, so we’ve learned from those as well. It’s important to move fast, but it’s also critical to ensure team members are treated fairly and growth doesn’t come at the expense of culture. Brian Chesky, co-founder of AirBnB: Never give up. The original AirBnb team didn’t make money for over a year, went $30,000 in debt, and sold cereal boxes to keep the company afloat. Today, they run a disruptor of an industry. Larry Ellison, co-founder of Oracle: Never let people tell you how far you can go. In Softwar, a book about Ellison and Oracle, the former describes how his father told him he’d never amount to anything in life. It was one of the driving forces that kept him motivated to make Oracle the titan it is today. Krish: What advice do you have for employees that have bad bosses? How can they take control and improve a bad situation? Jason: Please feel the need to send feedback our way. Criticism makes us better. We do not want to become bad bosses and have you relive memories of opportunities and time wasted on teams that couldn’t get the job done. Take control by listing outputs and results for clients and how they can be improved. Detail how our processes or leadership isn’t working for clients and team members. And then bring it to us. Leaders need to know when their approaches are not working or need to change. It’s best for the team and the mission. Krish: Okay, we made it! Last question — what’s one unique hack you or your company does that has enhanced your work culture? Jason: A part of our mission is to donate a portion of profits to low-income students, first responders, and veterans. We let employees choose where the money goes and how much of their work goes to the organizations we donate to. We’re a company that’s here to compete, yes, but we also want our team members to know their work is contributing to a higher calling. A note to the readers: Improving company culture happens at any level in an organization. If you learned one thing in this interview, please share this with someone close to you. A special thanks to Jason Patel again!